First half goals from Naby Keita and Roberto Firmino saw Liverpool beat Porto 2-0 to take command of their first leg Champions League quarter-final tie at Anfield. 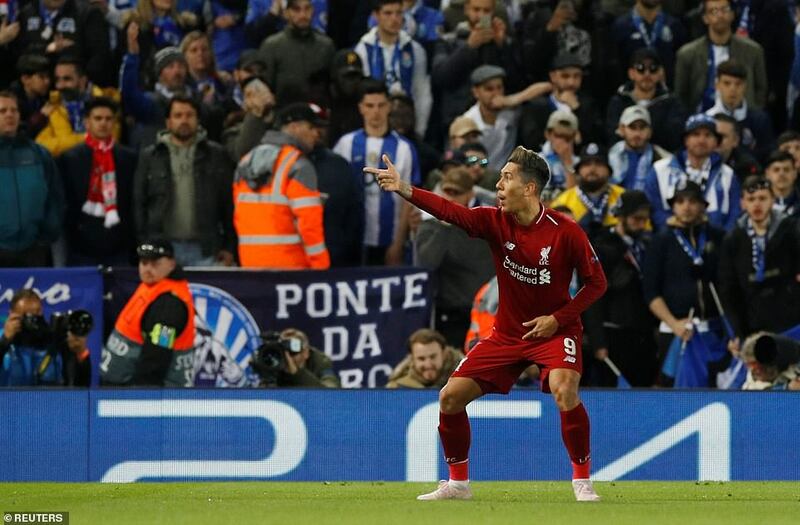 Liverpool thrashed Porto 5-0 in their last-16 stage last season, and will be looking to complete the job in Portugal in a week’s time. Porto actually created chances of their own but didn’t take them. Marega could feasibly have had a hat-trick, for example. Liverpool were more deadly and earned their advantage on the back of some superb mid-range passing. Meanwhile, Son Heung-min’s late goal gave Tottenham a crucial and well-deserved 1-0 advantage over Manchester City in an entertaining all English clash played at Spurs new White Hart Lane stadium. The only person at Tottenham who does not seem to miss Harry Kane is Son Heung-min. Yet this win affords hope, too. Manchester City did not get an away goal, meaning Tottenham need only a draw from here. And then there is Son. A player we know can save the day. It was his sheer determination that won through on the night, working hard while around him City dawdled. They were architects of their downfall in so many ways — not least Sergio Aguero’s penalty miss. Add to that Pep Guardiola’s mystifying decision to omit Kevin De Bruyne, Leroy Sane and the combative Bernardo Silva — and the fact the players he did pick chose not to play to the whistle for the winner — and this was a massively frustrating night for City. All of their failings might be dismissed as symptoms of fatigue but it is not going to get any easier from here.